Wedding day is a very special day for all involved. All the preparation that takes place leading up to the big day is definitely worth it. 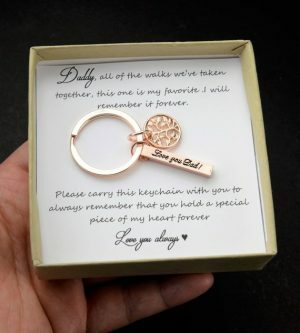 You can make this special event even more memorable with a unique gift to honor those who played a key role in making this special day a reality. 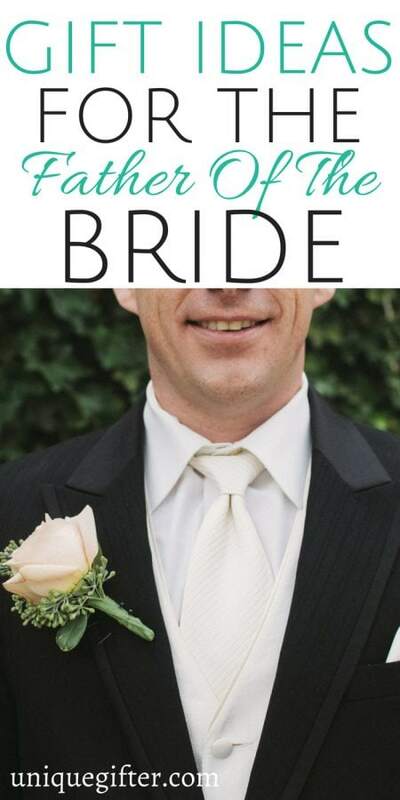 Check out these Gift Ideas for the Father of the Bride. Dad can always use a nice set of cufflinks, but these are extra special. 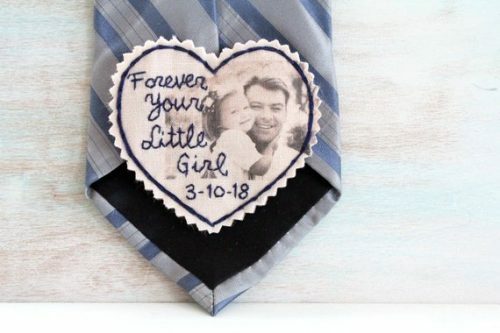 Customized wiith his favorite picture of his daughter, and her wedding date, he is sure to fall in love with this gift. 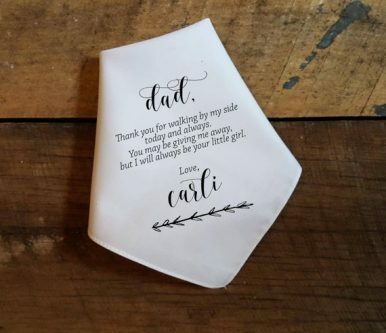 This handkerchief is a unique keepsake that is absolutely perfect for the occasion. 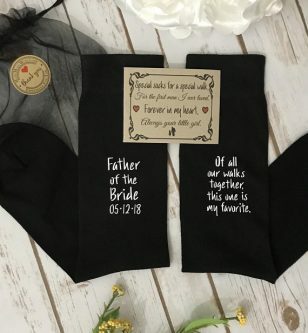 Dad can wear these special socks as he walks the bride down the aisle. Gift this patch to the Father of the Bride, and watch his face light up with joy. 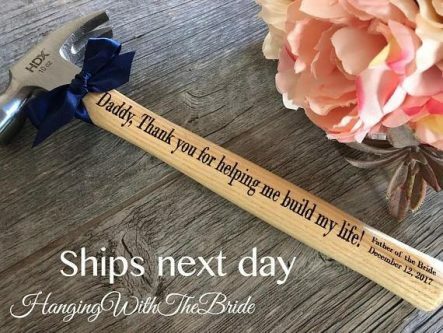 The handy Dad can definitely appreciate this personalized Keepsake Hammer. 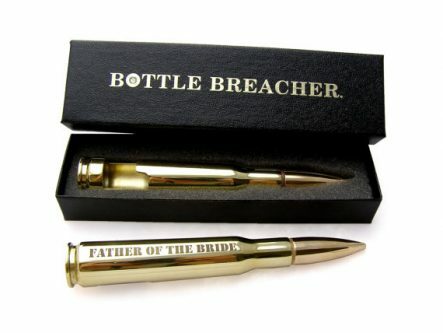 These Engraved 50 Caliber Bullet Bottle Openers are in a lane of their own. 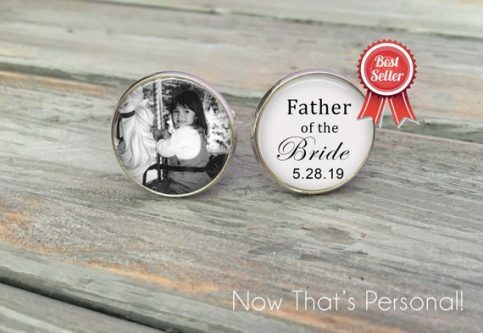 This is certainly like no other gift the Father of the Bride has received in the past. 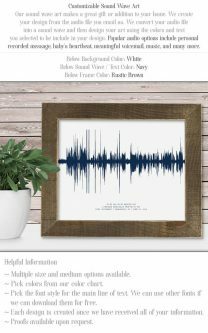 Sound Wave Art is sure to stand out in any room. 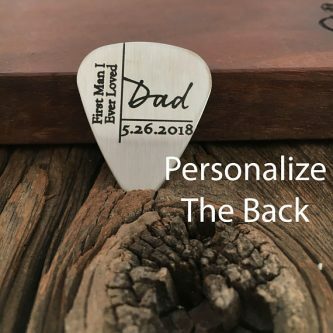 The best part is that it can be personalized with any message or sound you choose. The Father of the Bride will appreciate a nice cold beer after all the wedding festivities have concluded. He will appreciate it even more coming from this special mug. 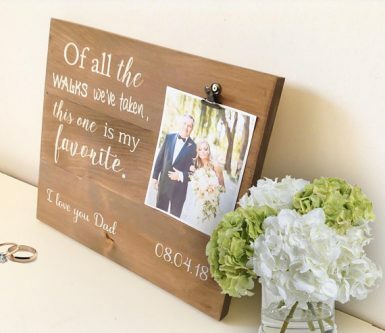 This sweet Wood Sign is a heartfelt gift that Dad will absolutely love. 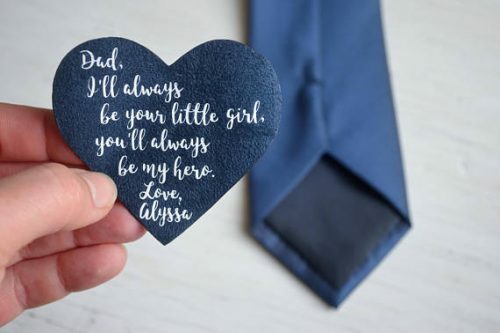 This Tie Patch comes with a hand stitched love note that will make Dad feel extra special. Come prepared with Dad’s favorite color and song to customize this Wind Up Music Box. 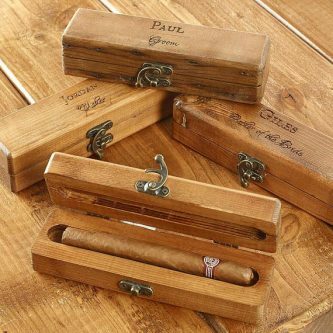 For the Cigar Connoisseur, this personalized solid wood Cigar Box would make the perfect gift. 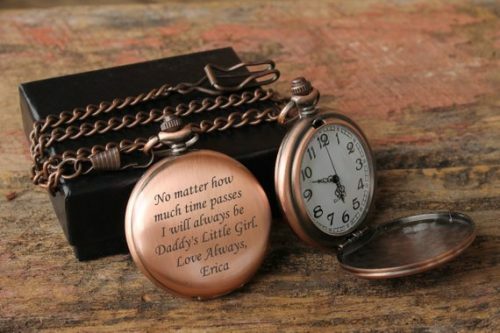 It’s always a good time with this personalized Pocket Watch. 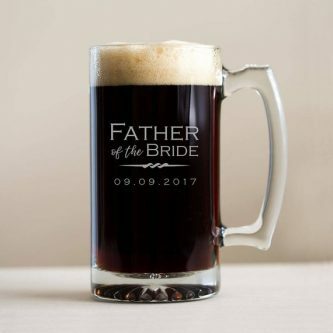 The Father of the Bride will definitely feel loved. 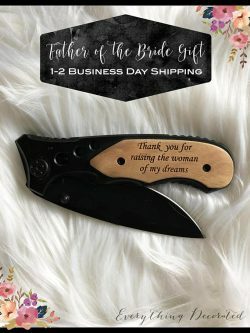 Upgrade Dad’s knife collection with this unique Thank-You gift. Is the Father of the Bride in love with his guitar? If so, he will definitely love this Guitar Pick. 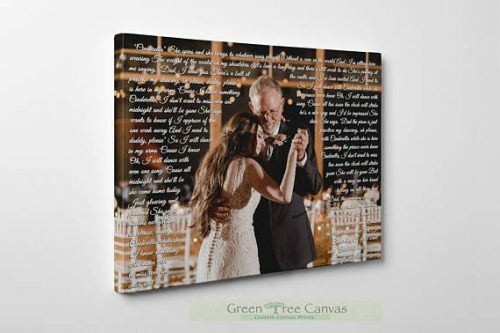 Dad will be more than happy to showcase this beautiful Custom Canvas Art Print. It is a beautiful reminder of the great role he has been blessed with. 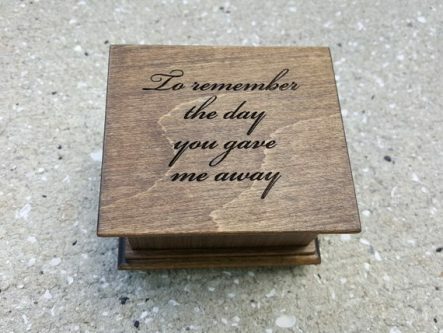 This Cufflink Box can be used for more than just cufflinks. However, it is the sweet message printed on this keepsake that makes it so special. 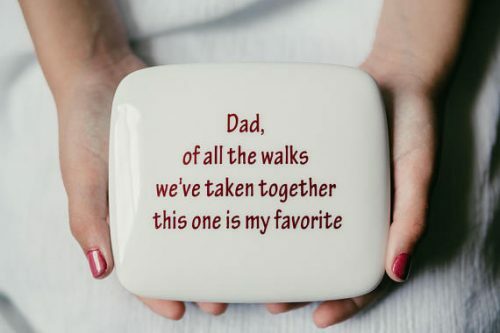 Dad will be filled with a powerful sense of love and joy, every time he takes a glance at this Keychain. Walking your daughter down the aisle at her wedding is a very special moment. The Father of the Bride is sure to cherish this Photo and Custom Frame forever. 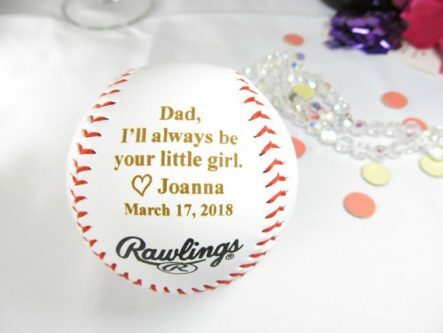 For the Father of the Bride who is a huge baseball fanatic, this personalized Rawlings Baseball will definitely excite him. 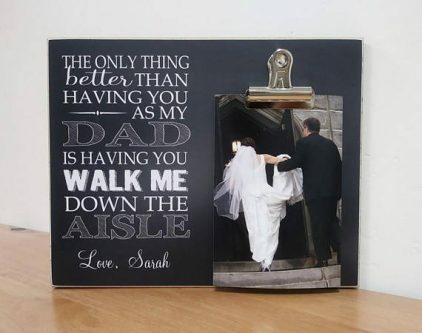 Dad is sure to appreciate the thought you put into honoring him on his daughter’s wedding day. He will definitely be wearing his title proudly with the help of a few lovely gifts.